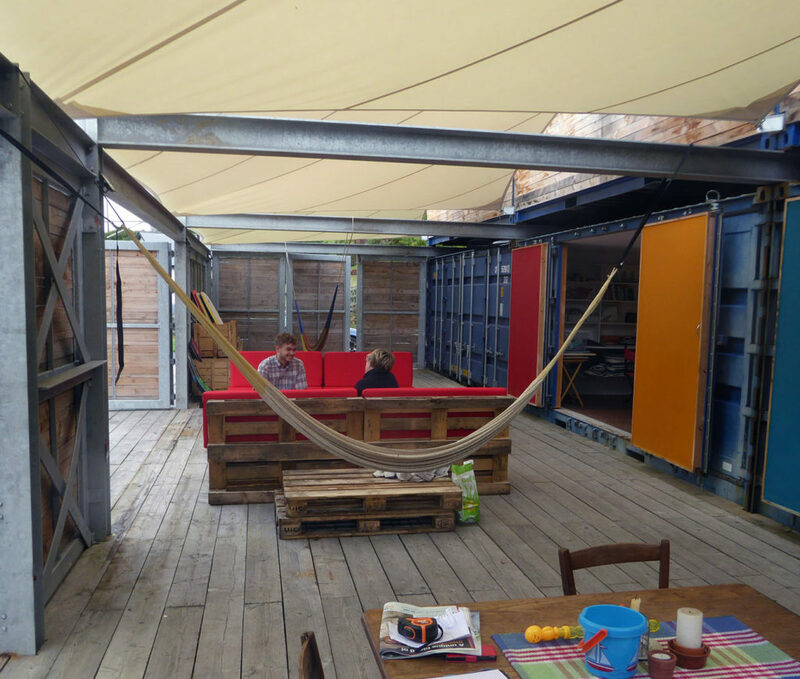 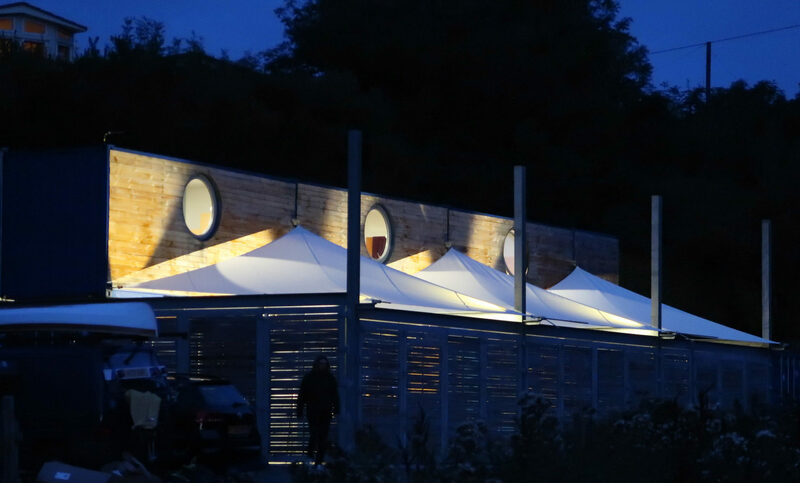 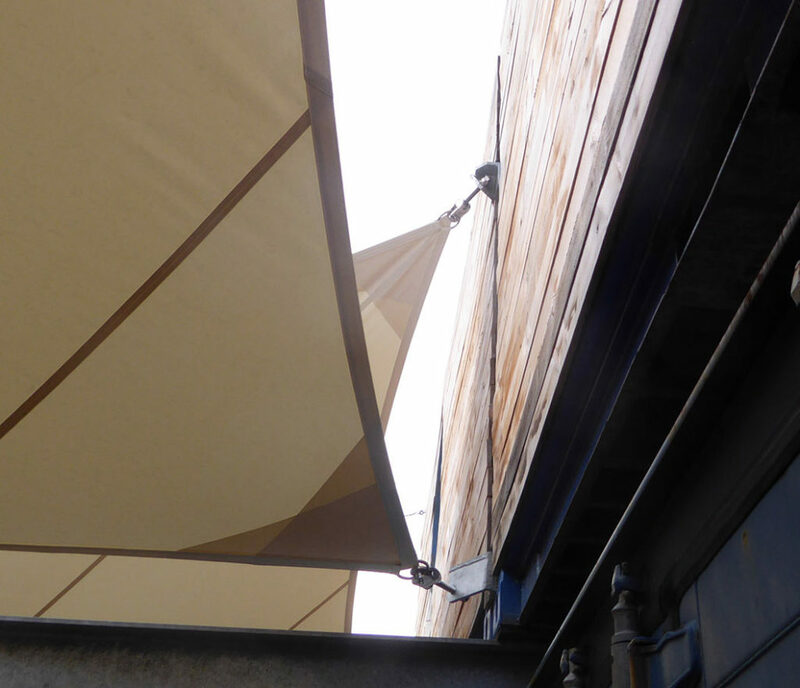 Tents and canopies in timber and fabric.Low-impact, practical, sculptural. 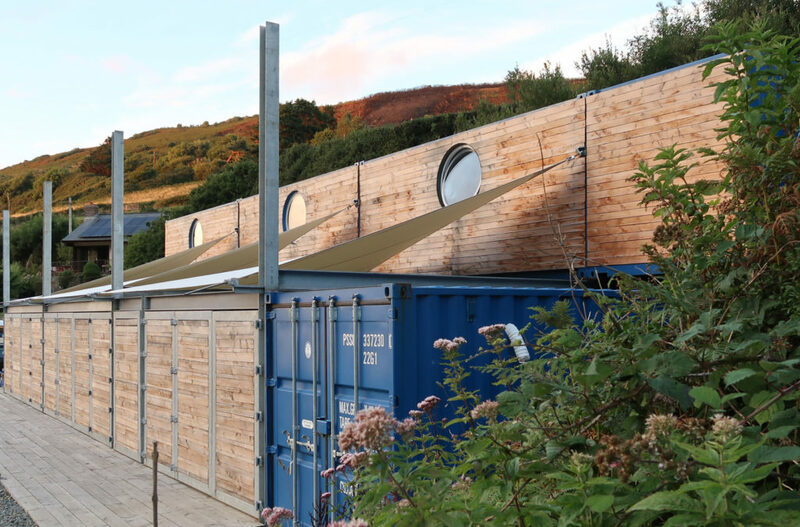 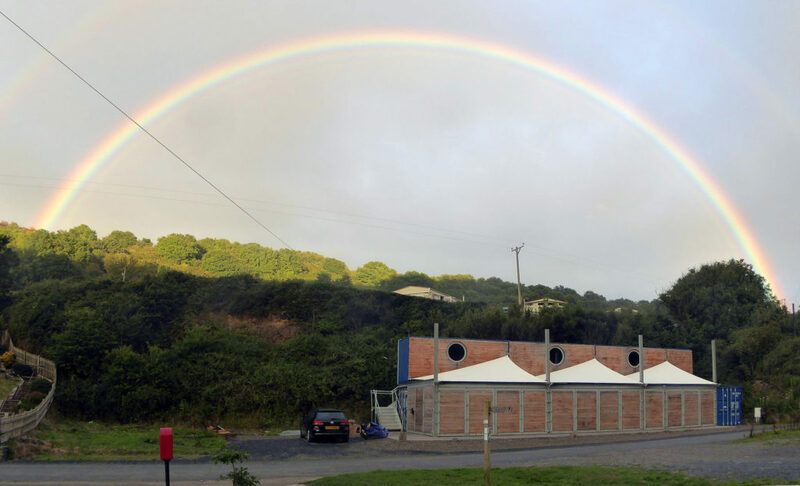 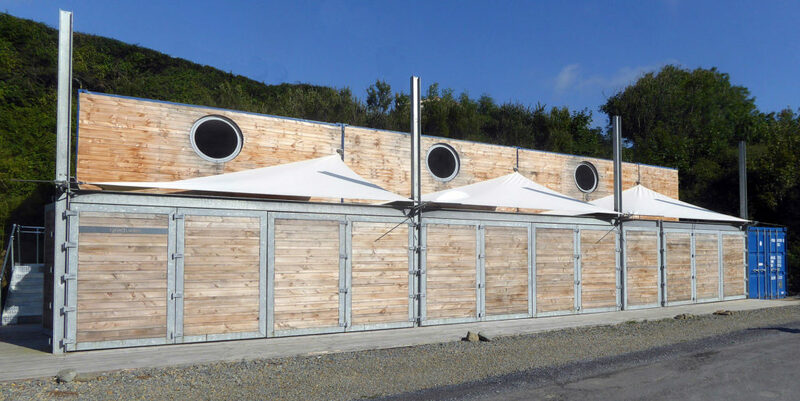 Big ‘Hypars’ for brilliant new bunkhouse at Cwmtydu, West Wales by award winning MAS architects. 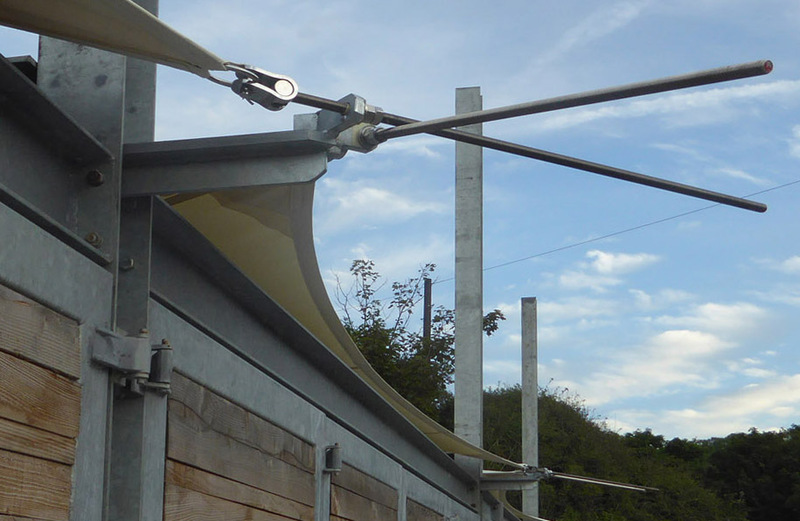 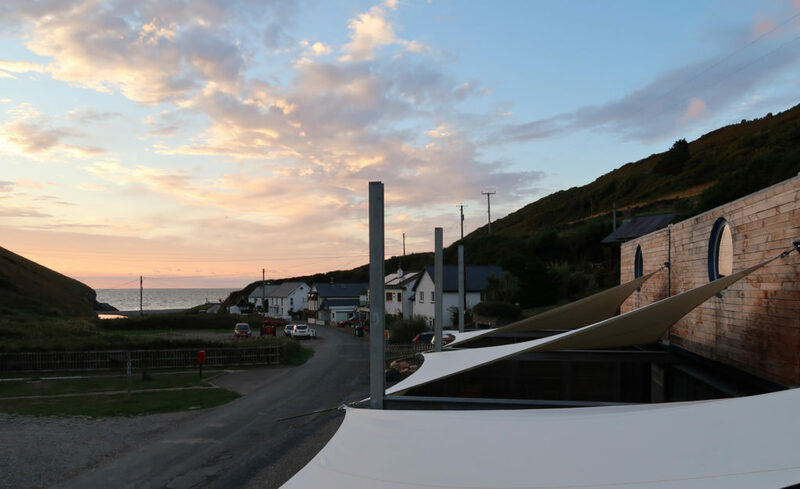 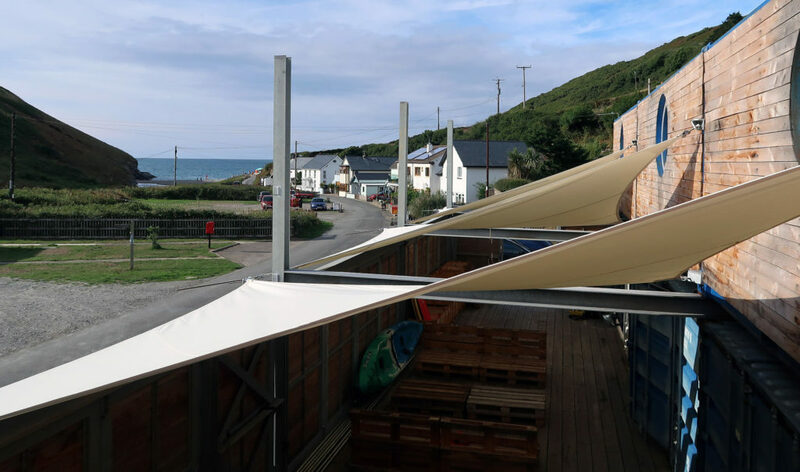 The sails, providing shelter, shade and privacy are attached by huge toggle fork studs left overlong that makes them easy to take down and reinstall if required, we can’t decide if they look like stingray tails or crossed swords.